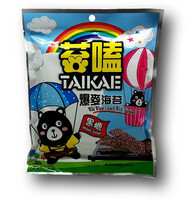 Noodles packet: potato noodles [sweet potato starch, tapioca starch, water, salt, emulsifier (E1413)]. 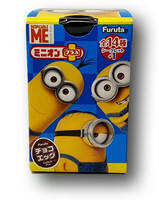 Seasoning packet: water, wheat bran (gluten), rice, vinegar, color (E150a), preservative (E202). Pickled packet: mustard, chili, ginger, salt, water, wine, flavor enhancement (E621), antioxidant (E330), preservative (E270), flavoring. 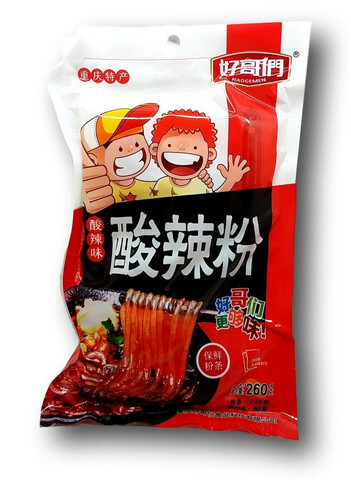 Sauce packet: rapeseed oil, salt, preserved chili, sichuan pepper, spices (star anise, ginger, cinnamon, bay leaf), sesame, yeast extract, flavor enhancers (E621, E635). 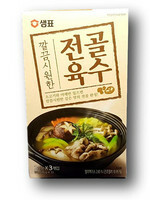 Seasoning packet: salt, fried soybean, sugar, spices (star anise, ginger, cinnamon, bay leaf), flavor enhancers (E621, E635).